Bayern Munich ended their 2016-17 campaign by sealing yet another Bundesliga title. This is the 5th successive domestic league title that the German club has lifted, this is evidence of the superiority that Bayern Munich has displayed and has been displaying for the past few years. 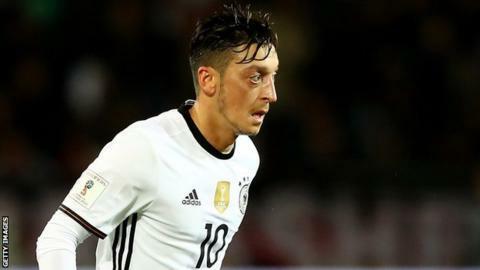 Reigning World Cup champs Germany have named their Confederations Cup team for the summer. The team would see seven uncapped players participate at the tournament while some established players rest. Why did Bayern Munich fail against Real Madrid? Bayern Munich have one of the best squads in the entirety of Europe. In fact, they probably have the best squad in the world. With players such as Robert Lewandowski, Arjen Robben, Javi Martinez, Arturo Vidal, Thiago and Mats Hummels, Bayern are certainly a match for the strongest teams anywhere on the planet. However, Bayern still came short against Real Madrid in the semi-finals of the Champions League. 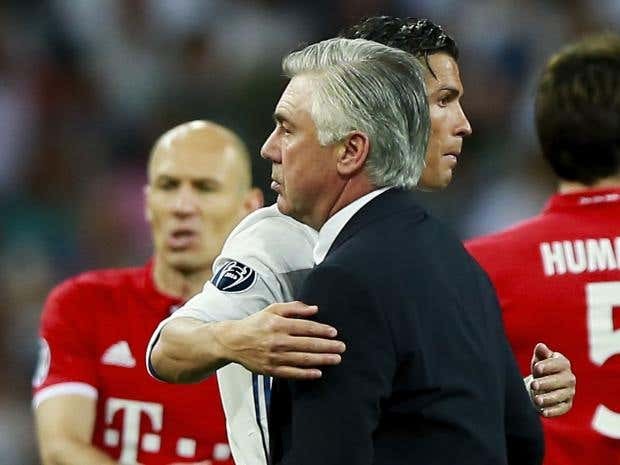 Carlo Ancelotti’s side lost the first leg of the tie 2-1 at the Allianz Arena and the second leg 4-2 at the Santiago Bernabeu after extra time. 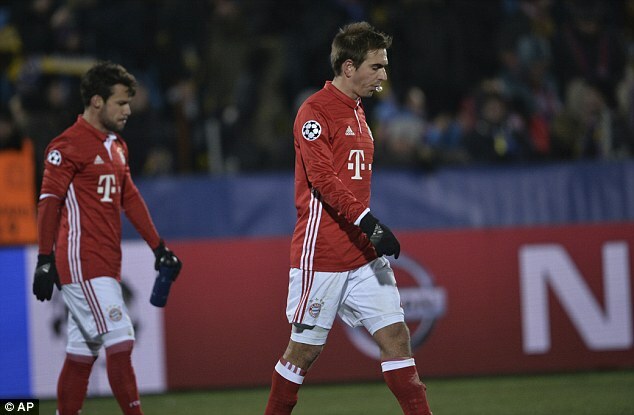 This means that for the fourth successive season, the Bavarian giants have failed to progress to the final of the Champions League. 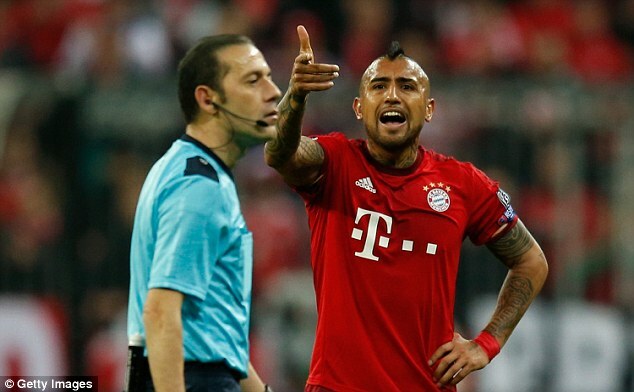 Read more about Why did Bayern Munich fail against Real Madrid? Bayern Munich suffered a 4-2 loss against Real Madrid at the Santiago Bernabeu after extra time. This second leg defeat in the Champions League quarter-final was extremely disappointing for the German club, as they felt that they were the wrong end of several poor refereeing decisions. Bayern Munich made an exit from the competition after the 6-3 loss. The team had earlier suffered a 2-1 loss at the Allianz Arena. Yet, Bayern did produce one of the best performances, but it was not enough against a Madrid team, which were termed as lucky. 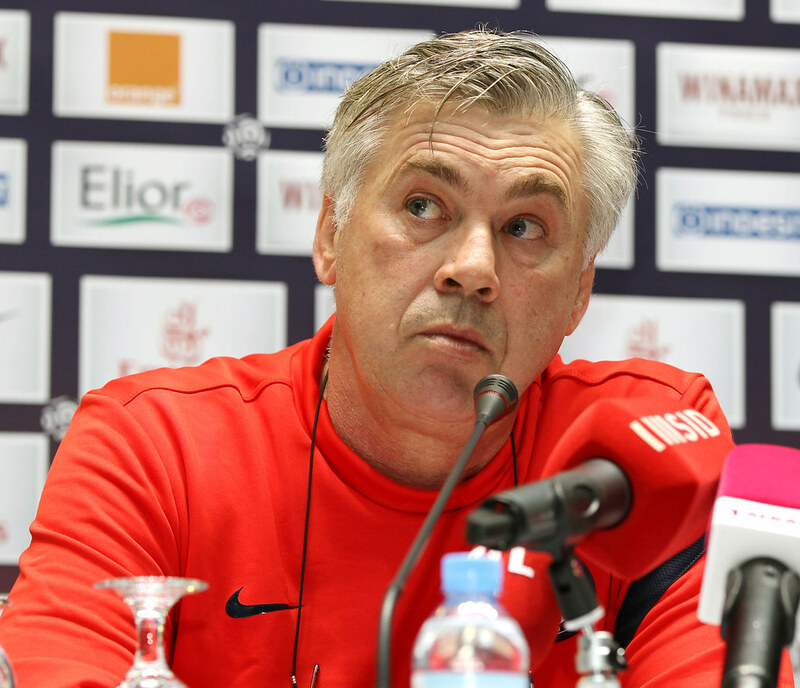 Carlo Ancelotti admitted that Bayern Munich were lucky to get a 2-0 advantage over Frankfurt going into the halftime. The club managed a 3-0 win over the German outfit in order to retain top spot in the German Bundesliga. Goals from Douglas Costa and Robert Lewandowski were crucial in getting this lead going into halftime. However, Bayern Munich were second best in the game and it was only after these goals that they tightened the grip. This was the fifth consecutive win for Bayern in all competitions. The club have a 10-point advantage over RB Leipzig, whose title challenge has been fizzing out over the last few weeks. Despite the early promises of RB Leipzig and the strength of Borussia Dortmund, Bayern Munich seem set to win the Bundesliga title this season. With a sizeable lead at the top of the league table at the moment, Bayern should wrap up the championship in a matter of weeks. The main target now for Bayern is to win the Champions League. 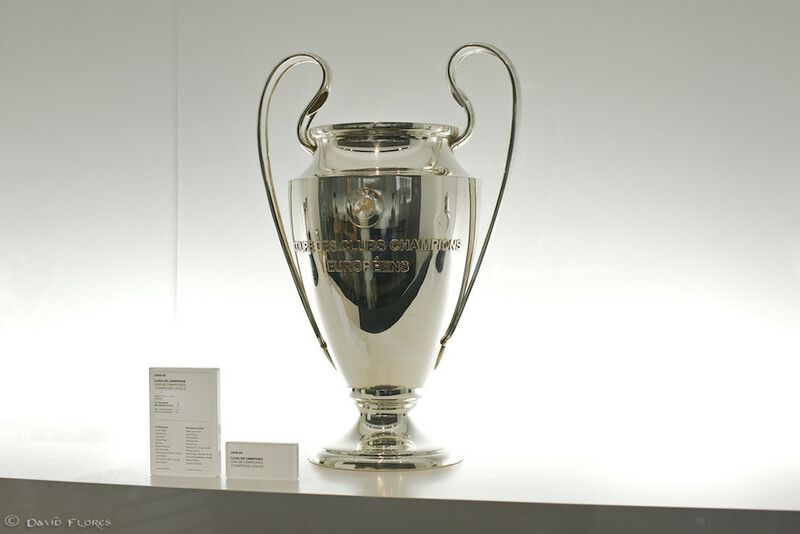 The Bavarian giants last claimed Europe’s premier club competition in 2013 and reached the semi-finals in each of the past three seasons. 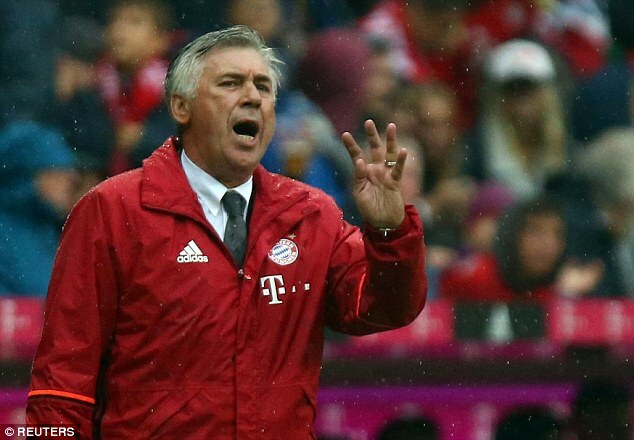 Could Bayern under Carlo Ancelotti do the same this campaign? Arsenal coach Arsene Wenger says he is proud of his side despite the big loss against German side Bayern Munich in the round of 16 of the ongoing Champions League. Wenger’s men had lost the first leg 5-1. 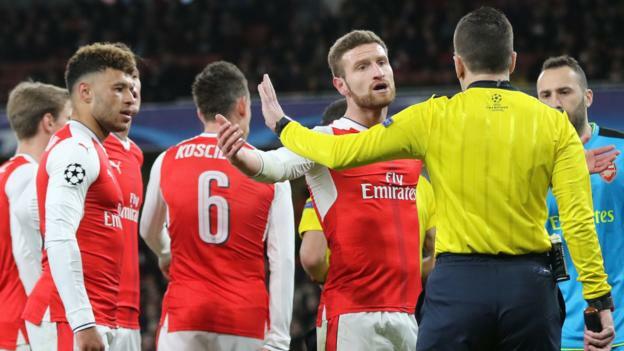 Many expected them to put up a tough fight at the Emirates but they lost by the same margin. Bayern Munich coach Carlo Ancelotti has once again stressed that Thomas Muller and Thiago Alcantara are capable of playing with each other as they are compatible. Muller has faced the first serious threat for his first team spot since becoming a professional. He has been unable to reproduce the same kind of form as he did a few years ago. This compounded with former Barcelona midfielder Thiago Alcantara being an excellent form, while playing in the hole behind Robert Lewandowski, has reduced the number of first-team opportunities for Muller. Muller watched Alcantara perform exceptionally well in the 5-1 win over Arsenal. The last competitive appearance that Arturo Vidal made with Bayern Munich was on January 20 of 2017 when his team faced off with Freiburg and came out on top with a 2-1 triumph. Unfortunately for the Chilean player, he picked up a rib injury which forced him to be subbed off from the pitch at the 54th minute. Can RB Leipzig end Bayern's dominance? If anyone is going to break Bayern Munich’s stranglehold on the Bundesliga title this season, it is going to be Ralph Hasenhuttl’s RB Leipzig. Their journey since the club’s formation back in 2009 has been nothing short of astronomical but success in Germany’s top flight would send shockwaves across European football’s elite divisions. The likes of Borussia Dortmund, Borussia Monchengladbach and VfL Wolfsburg have all pushed Bayern close in the last few years but the Bavarians are a class above their German rivals. 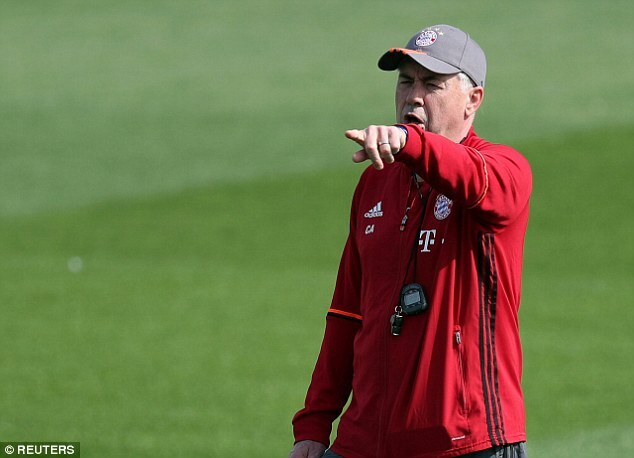 When it comes to the domestic campaign, Bayern are simply too strong for the vast majority of clubs and Carlo Ancelotti’s side could probably finish in the top half of the table if they played their reserves for the entire campaign. Read more about Can RB Leipzig end Bayern's dominance?